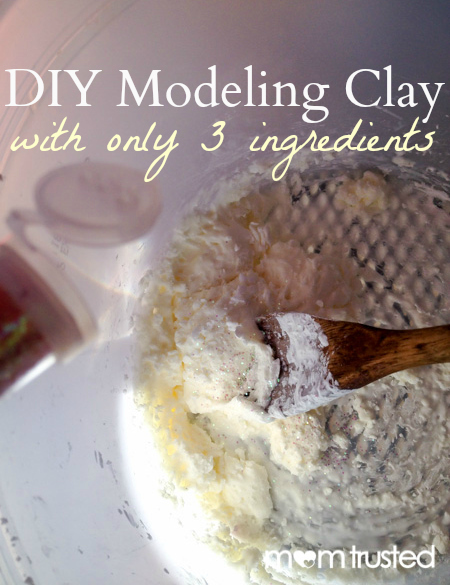 Make your own modeling clay! This simple homemade clay is lightweight and easy to work with. It can be air dried or baked when you are finished molding your creations. You need three ingredients for this dough – corn starch, white school glue, and baby oil. 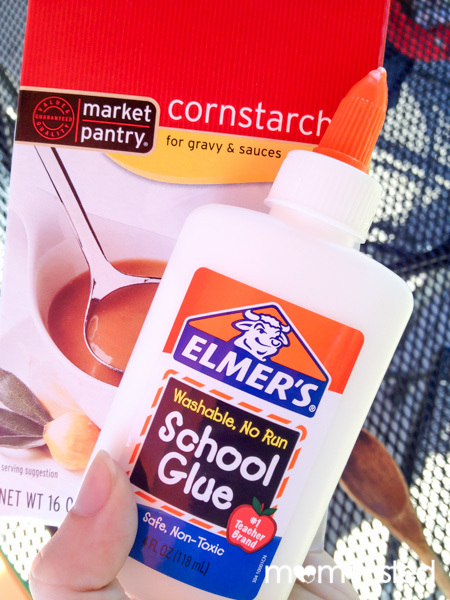 Start with equal parts cornstarch and glue and stir to mix. Add more corn starch as needed to make a light, workable dough. Once you can work the clay with your hands, add about a teaspoon of baby oil and start kneading. 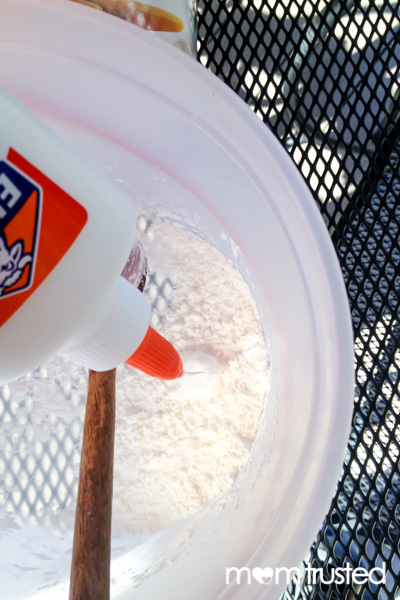 You can dust your table/work surface with cornstarch to keep the dough from sticking. Kids love helping with the kneading step. When the clay is well-kneaded and no longer sticky (about 5 minutes) it’s ready to mold and model. If you’d like, you can add food coloring and/or glitter to the clay. Cleanup tip: This clay comes off your bowl and spoon if you catch it before the glue dries. I’d hate to try to scrub it off then!